If you’re familiar with the phrase, “In sanity we trust” there’s a high chance that you’re familiar with one of Amazon’s most popular television series, Hand of God. This psychological thriller first debuted onto our screens in 2014 and was only commissioned as a single-series show. This was because Amazon commissioned the show as an entertaining form of market research. 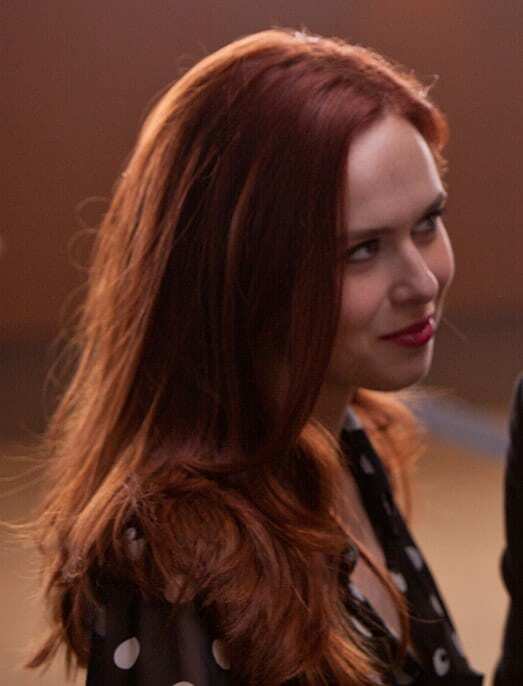 Before they decided whether to create a full series around the intense and dramatic storyline, the multimedia giant wanted to know whether viewers at home liked the concept. The result? It was a resounding yes! Viewers couldn’t help but fall in love with Hand of God, and couldn’t help but feel sorry for Pernell Harris, the main character. After his wife is involved in a life-changing incident and his son tries to take his own life, Pernell finds himself in a state of limbo that he can’t seem to get out of. 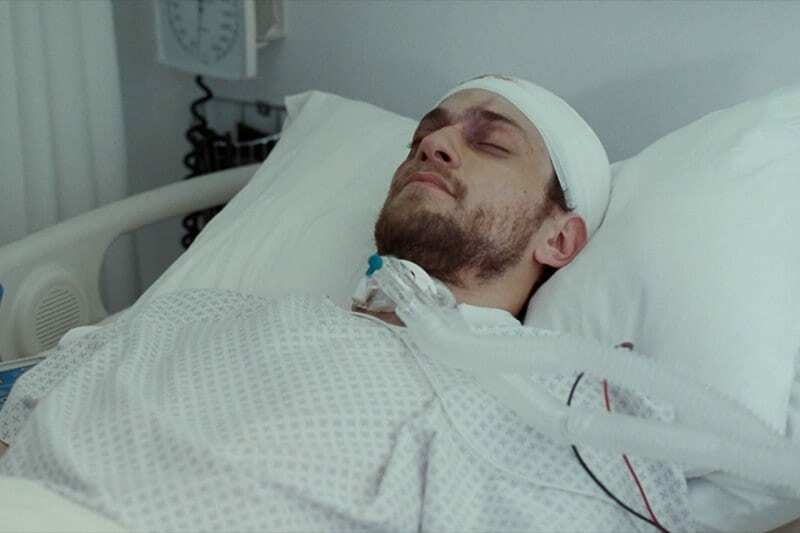 As he visits his comatose son in hospital, Pernell starts to believe that God is trying to communicate with him. So, the esteemed judge becomes a born-again Christian and vows to inflict vengeance on those who have wronged his family through his new place of worship, The Hand of God. Unfortunately, this doesn’t always have the effects Pernell intended, and he seems to push his family away in the process. Sadly, Hand of God was given the boot after the second season, and we can’t help but want more. So, where better to start than with the characters? 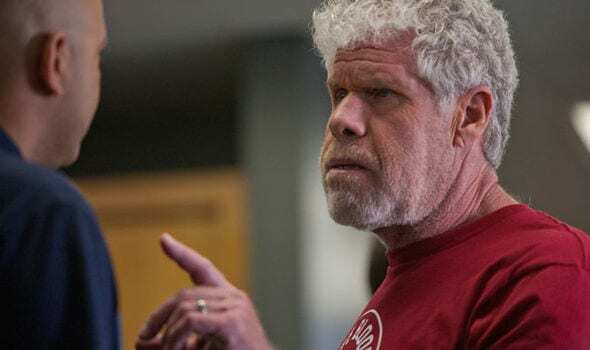 Pernell Harris, played by Ron Perlman, is the main character in the show and is the person we follow throughout all 20 episodes. This corrupt judge is adamant that God wants him to carry out vigilante work, particularly when it comes to finding out what happened to his son P.J. and his son’s wife, Jocelyn. He will stop at nothing to fulfill his mission and please the higher power he says guides him. However, others around him are worried that he is simply losing his mind. As the show progresses, we find out whether there is a higher power compelling Pernell Harris or simply him breaking down. The truth is shocking. Ron Perlman is a true acting legend, having a whopping 238 TV and movie credits to his name! Throughout his career he has effortlessly disappeared in the characters he portrayed on the screen and on the stage. His first TV acting gig came back in 1979, where the classically-trained actor starred in two episodes of the romantic drama, Ryan’s Hope. Since then, he has had the pleasure of starring alongside some huge acting names, including Marlon Brando, Sean Connery, and John Hurt. His most famous roles have been in the motorcycle drama show, Sons of Anarchy, and starring as the title character in the first two Hellboy movies. Dana Delany plays Crystal Harris on the show, the wife of Pernell Harris and mother of P.J. She watches as her husband takes his new, vigilante path and is unsure of how to help him. At first, it seems as though Crystal believes her husband has well and truly lost her mind. She often takes the side of Jocelyn, her son’s wife, and works alongside the mayor ‘Bobo’ to try and get her husband the help she thinks he needs. As a strong and powerful businesswoman herself, she doesn’t want her husband ruining their image. Yet another star whose acting credits span over five decades, Dana Delany has been acting since the 1970s! Her first big break came in 1988 when she was cast as the lead in the war drama series, China Beach. This role earned her three Emmy nominations and two wins. Over the last five decades, Dana Delany has starred in nearly 100 TV shows and movies, including the dramas Body of Proof and Desperate Housewives. Robert Boston, known as Bobo to many, is the mayor of San Vicente and good friends with the Harris family. 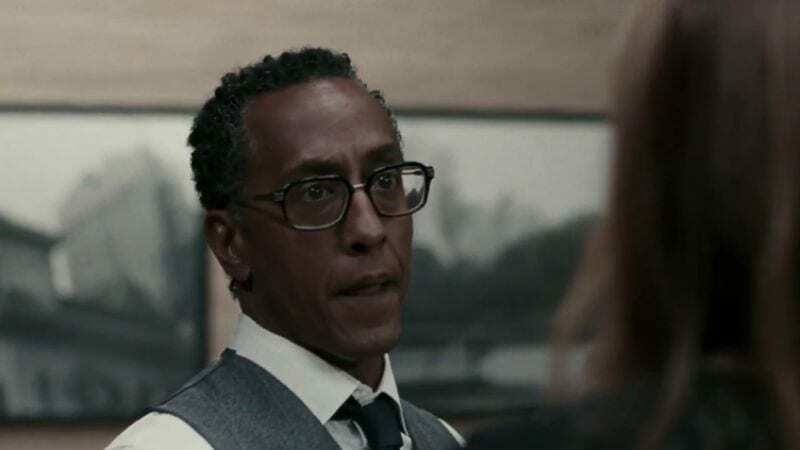 Having friends in high places certainly comes in handy for Bobo, played by Andre Royo, as he uses his connections to strike deals across the city. While many of them may be slightly underhand deals, it seems as though he has the city’s best interests at heart. Is his concern for his friend Pernell Harris a genuine concern or just a matter of business for Bobo? While he may be the spitting image of Giancarlo Esposito, Andre Royo is not Gus Fring from the drama series, Breaking Bad. However, the pair have both commented on how similar they both look! Instead, Andre Royo rose to fame as Bubbles in the crime drama, The Wire. Since his part in Hand of God, he has gone on to star in the music-drama series, Empire. 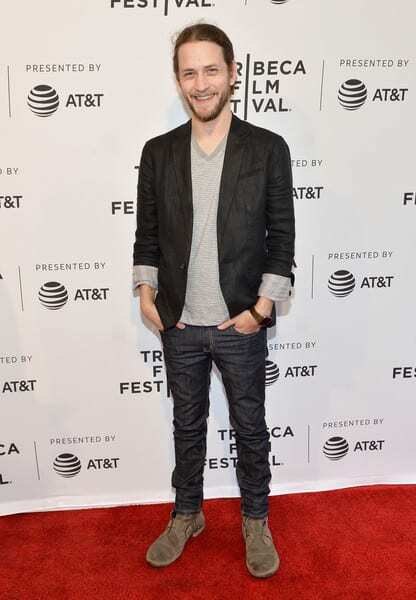 In October 2018, he will be starring alongside Steve Carell in the drama movie, Beautiful Boy. 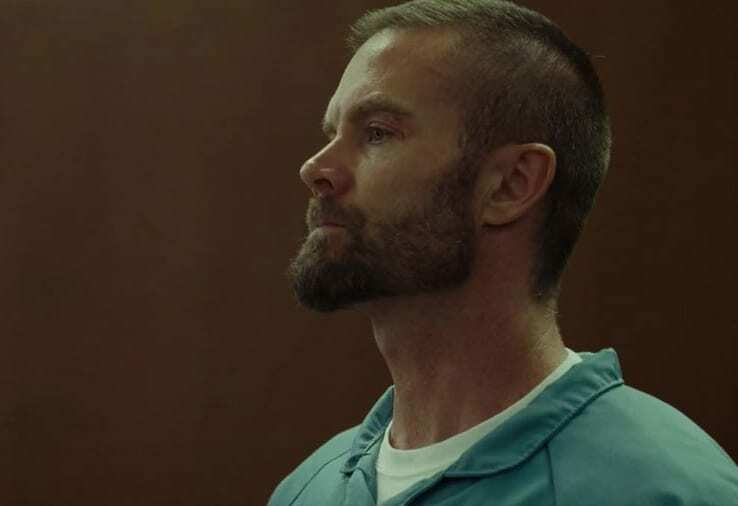 Garret Dillahunt is often hailed as one of the best characters in Hand of God, as he plays the recently converted prisoner, KD. As a fellow member of the Hand of God church, KD comes up against Judge Pernell Harris after assaulting a man in prison. However, after a religiously motivated speech to the judge, Pernell lets him off – he has bigger plans for KD. The ex-con agrees to help Pernell in his ‘mission from God’ to avenge the actions against his son and daughter-in-law. Garret Dillahunt rose to fame in the ‘90s, after starring in the popular drama series, One Life to Live. He has since found himself in one incredible series after another, including the western Deadwood, comedy Raising Hope, and sci-fi The 4400. One of his biggest Hollywood roles came in the award-winning drama, 12 Years a Slave. Garret Dillahunt was highly praised for his role in Hand of God, which could be why he has plenty of new projects underway. Pernell Harris Jr., known as P.J. by his friends and family, is played by Johnny Ferro. However, we hear more of his voice than we see him act, simply because he is in a coma! After his wife was attacked, and he was forced to watch, P.J. tries to end his own life. From the very first episode, we see him lying in a hospital bed, with his father (Pernell) pleading with him to wake up. Eventually, his father believes that P.J. is talking to him and passing on the message of God. We don’t get to see much of Johnny Ferro’s character in Hand of God, but there is no denying he is an exceptional actor. His first role was in a short back in 2008, but his biggest role was as the lead in the 2010 drama movie, Children of God. We can see a theme here… Johnny Ferro might be quite new on the acting scene, but since his appearance as P.J. Harris, he has since been snapped up for two more television series, including a small role on the crime drama, Chicago P.D. One of the most interesting and unique characters from the start, it’s hard to know what to make of Reverend Paul Curtis. In a former life, he was known as Oliver Curtis and made a name for himself as a bit of a con-artist, as Crystal Harris points out to him in the first episode. However, he has now set up the Hand of God, in order to turn his life around. Or so he says. After helping Pernell become a born-again Christian, and earning himself some cash in the process, has Reverend Paul Curtis gone too far this time? This British actor started off his acting career with the Royal Shakespeare Company, which he said played a huge influence in honing his craft. Julian Morris had a brief stint in the medical drama ER, was in 6 episodes of the action series, 24, and even played Prince Phillip in the fantasy drama, Once Upon a Time. Most people will probably now recognize the star as Wren in the mystery series Big Little Lies. It definitely seems as though his performance in Hand of God helped him get a step up on the acting ladder. Emayatzy Corinealdi has had plenty of acting jobs since her debut in 2000, including playing Nurse Susan Mehta in the soap drama series, The Young and the Restless. Her most notable roles are in the drama movies, Middle of Nowhere, Roots and Addicted. Since her time in Hand of God, she has gone on to play Candace in the sports comedy series, Ballers, and even starred in a music video with Jay Z and Beyonce! As the show progresses, we get to see more and more of Anne, played by Elaine Tan. Initially, she is hired to check up on Pernell by Guy Guillet; a man that is striking a slightly shady deal with the mayor, Bobo. As the judge’s behavior becomes more erratic, it’s down to Anne to decide whether the deal will fall through. Especially after his first initial public outburst in the pilot episode. Is she genuinely concerned about Pernell, however, or is it all just business to Anne? Elaine Tan has been acting in TV and movies for 20 years now, as she started as a child actor. This British actress has had an eclectic career which includes starring in the British soap opera, Eastenders and bagging a small role in the romcom, Starter for 10 with James McAvoy. However, she managed to break into the American TV world with roles in crime dramas such as CSI and Hawaii Five-O, before landing her Hand of God part. Her most recent role was in the comedy movie, Tully, released in 2018. Jocelyn Harris, played by Alona Tal, is the wife of P.J. and the daughter-in-law of Pernell and Crystal. After the night of the attack on her, which her husband was forced to watch, things haven’t been the same for Jocelyn. She has some tough decisions to make regarding P.J. and his coma, which aren’t helped by Pernell and his meddling ways. As she tries to struggle through the trauma, Pernell keeps coming up with ways to make things a little more difficult for his daughter-in-law as he tries to catch her attacker. 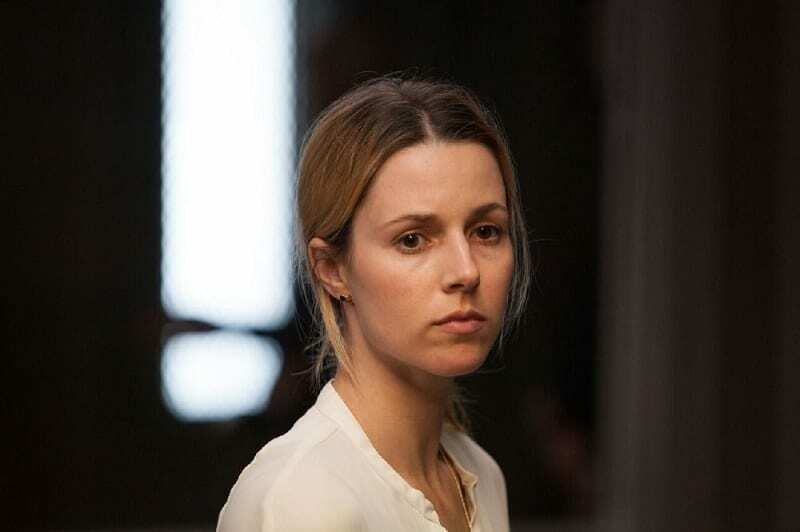 It seems as though Alona Tal has always gravitated towards crime and drama TV shows, after her first TV acting job was on the crime drama, CSI: Crime Scene Investigation. In 2004, she joined the cast of the critically acclaimed crime drama, Veronica Mars, which certainly catapulted her to fame. She also starred alongside Russell Crowe and Mark Wahlberg in the action movie, Broken City. Since her part in Hand of God, she has been working on the war drama series, SEAL Team. Alicia Hopkins, played by Elizabeth McLaughlin, is the right-hand woman to Rev. Paul Curtis. Seemingly besotted by the Hand of God church founder, she will do anything in her power to make sure he gets his way. Including tempting bank managers to accept slightly shady checks!! Her looks and seductive ways definitely help the Hand of God church further its cause, but not everyone is impressed by her methods. Is she really doing God’s will or is she just head over heels for the Reverend? Elizabeth McLaughlin has only been acting for ten years, after landing a small role in the comedy series, ‘Ugly Betty,’ back in 2008. She has since gone on to star in several big-name TV shows, including the mystery Pretty Little Liars, drama Betrayal, and comedy remake, Lethal Weapon. After Hand of God, she went on to star in an episode of the drama, Code Black. Her latest movie, a western called Big Kill, is set for release in 2018.